$43K Speaker Marketing VIP Package: Market, Maximize, Monetize! This is THE comprehensive thought-leadership monetization package. 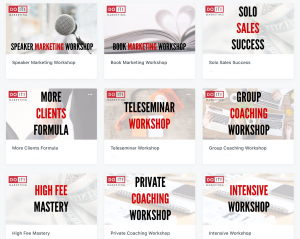 If you want to sell more speaking, get more coaching and consulting clients, build your online revenue streams, launch a high-fee mentoring program, master every sales conversation, truly monetize your book, and grow your business both online and offline, THIS is the ultimate training, mentoring, and consulting package you want. You’ll get an ALL-ACCESS VIP PASS to David’s core trainings, each of which sell for between $2K-$3K each. You’ll then get SIX ADDITIONAL VIRTUAL CONSULTING SESSIONS, specifically focused on helping you grow your “freedom-based” expert business. David will also share exactly what’s working in his business in real time if you want a “behind the scenes” look at a 7-figure training, coaching, and consulting business as you consider the best and most profitable distribution methods for your OWN expertise. David Newman, CSP, is one of the newest members of NSA’s Million Dollar Speakers Group. So he knows what it’s like to struggle – and he knows what it’s like to succeed beyond your wildest dreams. David and his team run a 7-figure business, and they have helped over 550 speakers, consultants, and experts grow their business dramatically – all the way from brand new speakers just starting out to 30-year veteran speakers and consultants, including CSP’s and members of NSA’s CPAE Speaker Hall of Fame. 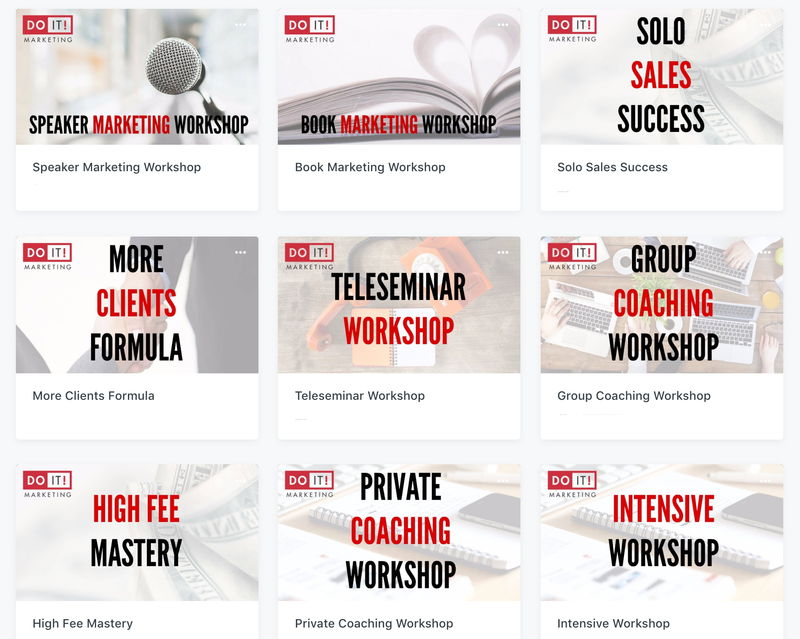 If you want to get more clients – more easily and more often – and solve your marketing puzzle once and for all so that you sell more keynotes, training, seminars, coaching, consulting, facilitation, CEO roundtables, masterminds, online courses, licensing, sponsorships, and more, this package is for you. Total Value of David’s Package: $ 43,000.